HomeCar LaunchesAudi Q7 2.0 TFSI Quattro launched in Malaysia, now RM65k cheaper at RM525k! 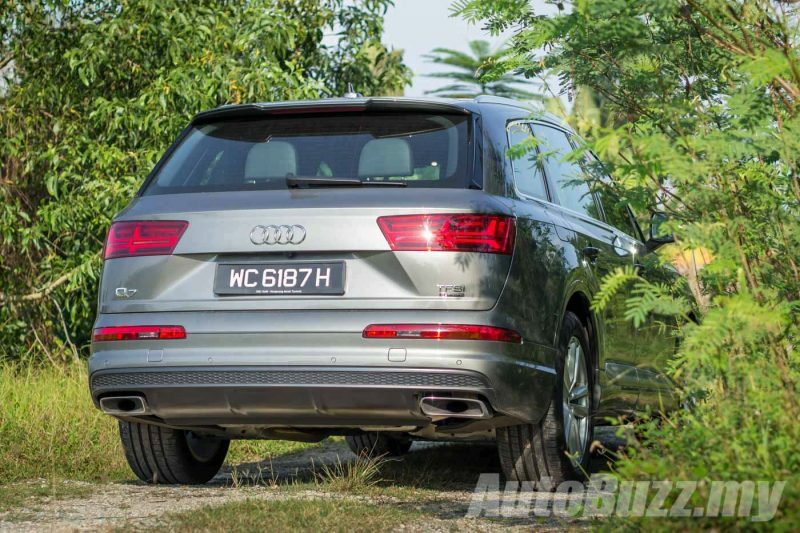 Audi Q7 2.0 TFSI Quattro launched in Malaysia, now RM65k cheaper at RM525k! 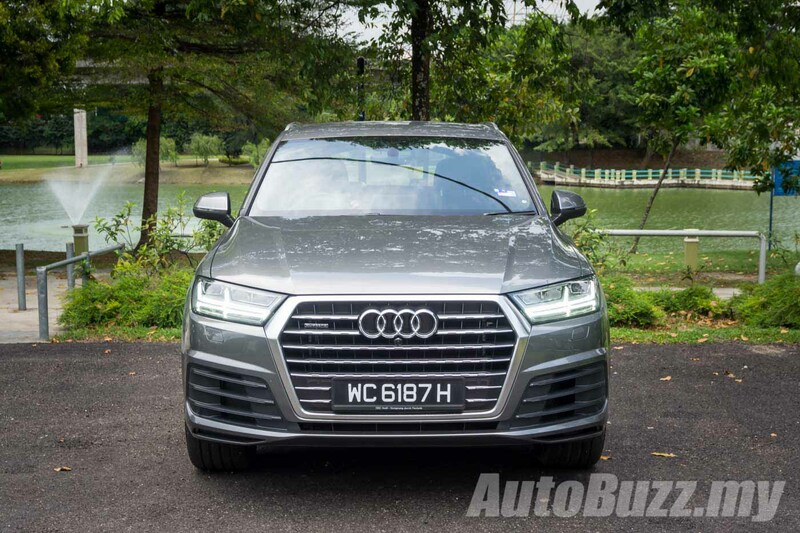 The second-generation Audi Q7 was introduced to the Malaysian market some time last year in the sole 3.0-litre supercharged V6 guise. 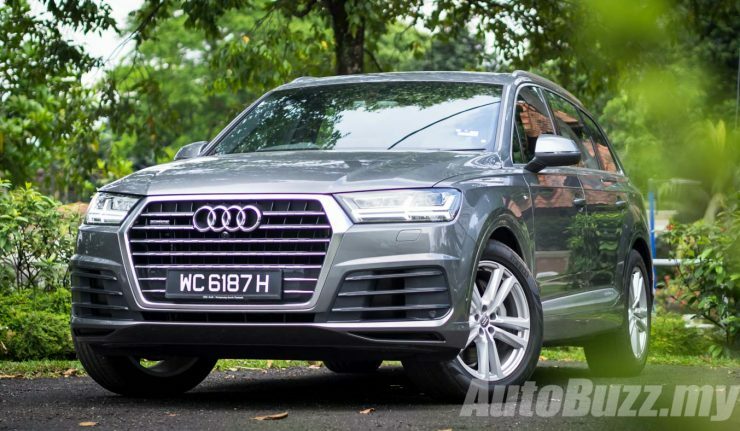 For those who fancy a Q7 but can’t stomach the asking price of the 3.0-litre variant, fret not because Audi Malaysia has added an entry-level variant to their Q7 line up, the Q7 2.0 TFSI Quattro. 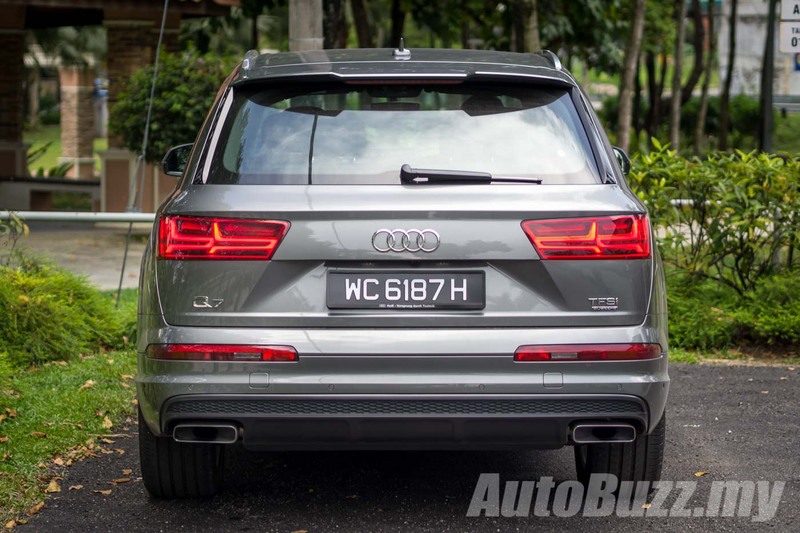 Audi Malaysia explained that the 2.0 TFSI is a direct replacement of the second-generation Q7 3.0 Quattro. Although a base variant, the 2.0 TFSI Q7 still packs an extensive list of equipment, features, performance and off-road capabilities the full-sized SUV is known for. On the exterior, the 2.0-litre Q7 wears the same fascia as its 3.0-litre twin. 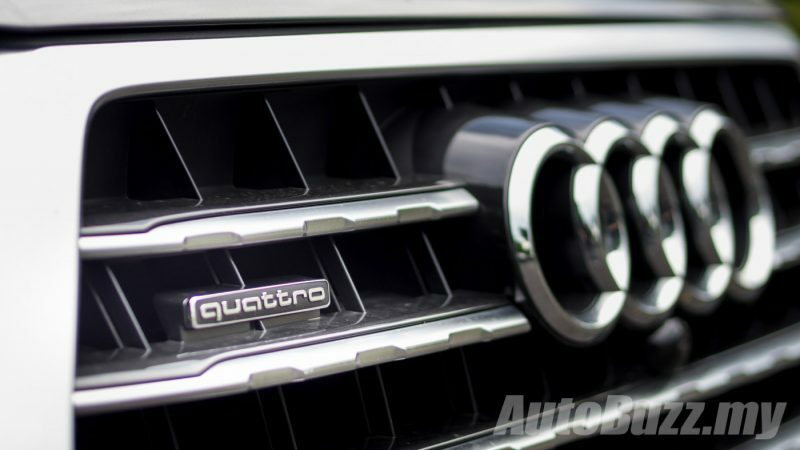 Therefore, Audi’s signature Singleframe grille, automatic LED headlamps with double-arrow LED DRLs, LED tail lamps, twin exhaust outlets, aluminium roof rails and roof spoiler all come as standard. The only way to tell the two variants apart is the smaller 19-inch five-spoke cast aluminium alloys wrapped in 255/55 profile tyres and the more obvious 2.0 TFSI badge on the 2.0-litre Q7. Inside, the differences are more apparent. In the 2.0-litre, the sporty three-spoke steering wheel have been swapped out for a four-spoke design with the paddle shifters retained. Unfortunately, or fortunately, the steering column is no longer electronically adjustable. 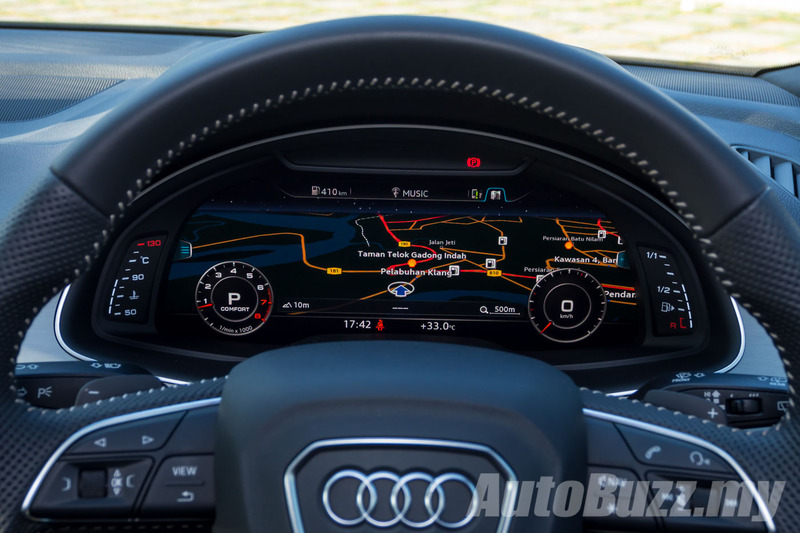 The fancy 12.3-inch Audi Virtual Cockpit was also given a miss, and is replaced with a conventional Driver Information System with a 7-inch full coloured instrument cluster. Another feature that was omitted from the 2.0 TFSI is the 558 watts 15-channel amplifier with 19-speakers BOSE 3D sound system. The entry variant gets a 180 watts 9-channel amplifier with 10-speakers Audi Sound System. However, Audi Malaysia has retained most of the conveniences available in the more expensive variant such as comfort key, leather upholstery, powered front seats with memory function for driver’s seat, four-zone deluxe climate control, electric parking brake with hold assist, parking system advanced with surround view camera, park assist, powered tailgate, automatic anti-glare rear and side mirrors and cruise control. 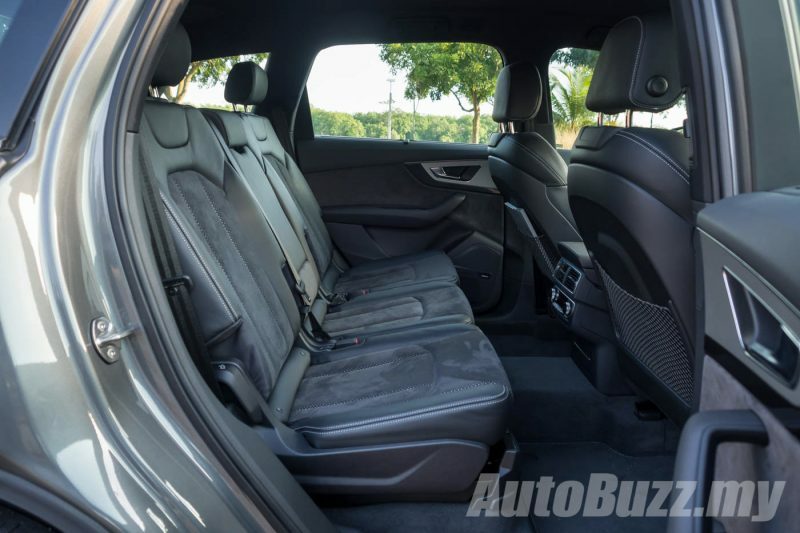 Boot volume on the Q7 is rated at 770 litres but the electrically operated 50:50 split third row seats can be folded flat to free up 1,955 litres of cargo space. Despite having a smaller capacity engine under the hood, the 2.0-litre TFSI, when mated to the eight-speed automatic transmission is able to deliver 252 hp and 370 Nm which drives all four wheels. With the Quattro permanent all-wheel drive system, the Q7 2.0 TFSI is able to sprint to 100km/h in a brisk 7.1 seconds all the way to a top speed of 233km/h. Besides that, the smaller engine with start/stop system and energy recovery offers better fuel consumption of 7.4 litres per 100km as compared to the 3.0-litre’s 7.9L/100km. Still think you need that 3.0-litre? As standard, the 2.0-litre Q7 gets adaptive air suspension to ensure superior ride quality and driving dynamics. Managed by a continuous variable electronically controlled air spring damper system, the vehicle will always remain levelled regardless of the load distribution. With the adaptive air suspension, the Q7 gets an advanced Audi drive select that features seven different damper settings. In addition to Auto, Dynamic, Efficiency, Comfort and Individual, the off-road capable SUV gets two modes – Allroad and Lift/Offroad specifically for going off road. In Allroad, the vehicle’s ride height is raised by 25mm to prepare the car for mixed terrains. On the other hand, Lift/Offroad raises the ride height to the maximum 60mm for additional ground clearance when tackling extreme terrains, improving approach and departure angles. Another feature of the air suspension is a Convenient Loading mode that lowers the rear axle by 45mm to ease loading and unloading cargo from the boot. The base variant Q7 gets the same safety features as the top spec model. As such, the Q7 is equipped with eight airbags, ABS, ESC with traction control, EBD, Electronic Differential Lock, hill descent control and tyre pressure loss indicator. As a CBU unit, customers are able to choose from seven different exterior shades: Glacier White, Floret Silver, Argus Brown, Ink Blue, Graphite Grey, Orca Black and a special Daytona Grey with pearl effect. 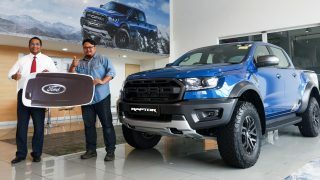 Additionally, customers can also spec an optional S-line package that includes a sportier body kit, S-line steering wheel, 20-inch cast aluminium wheels, sport seats (among others) for an additional RM15,000 over the asking price of RM524,900. In short, the Q7 2.0 TFSI Quattro immediately made the Q7 a good RM65k more accessible to buyers without losing out all that much. Should the base Q7 check a good number of your boxes, order books for the four rings SUV are now open. If you still can’t decide between the 2.0 or 3.0 TFSI, check out what GC thinks of the 3.0-litre Q7 here. 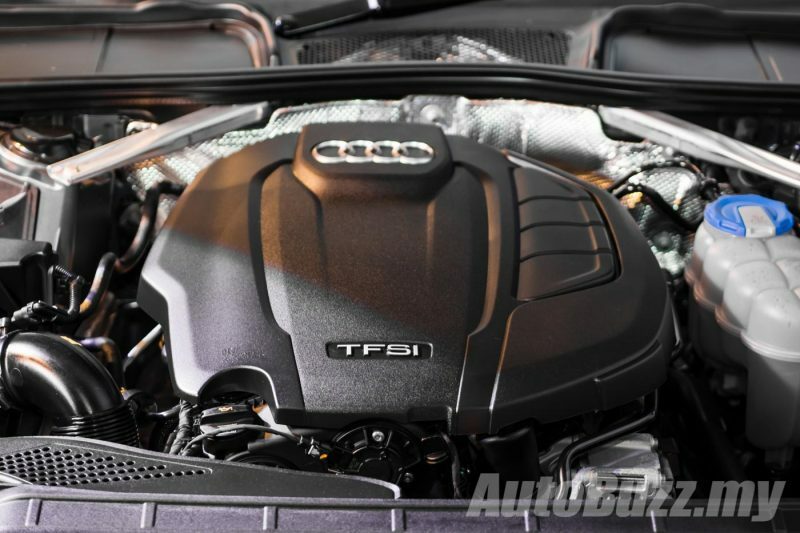 Disclaimer: The Q7 you see here is of the 3.0 V6 TFSI quattro, and not the actual specification of the 2.0 TFSI quattro. Meet the F12 Caballería, a custom made full carbon fibre Ferrari F12!